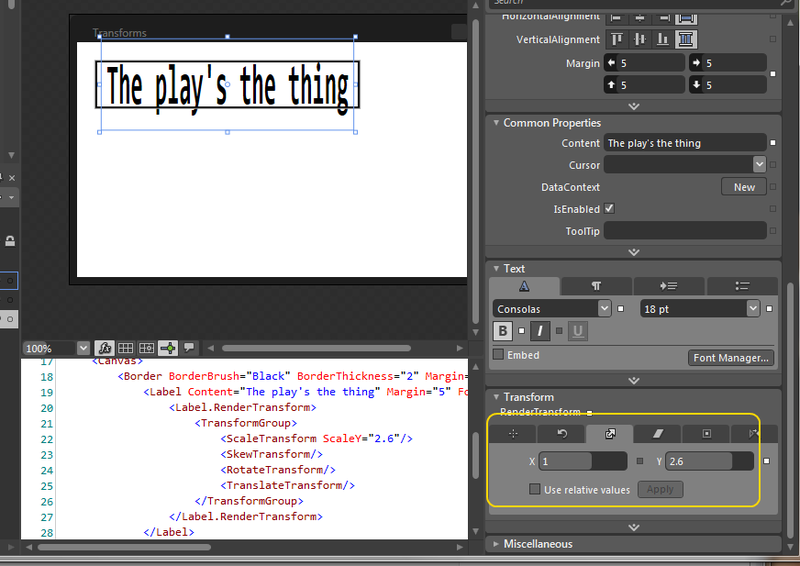 You can set both layout and render transforms for an UIElement from within Blend. 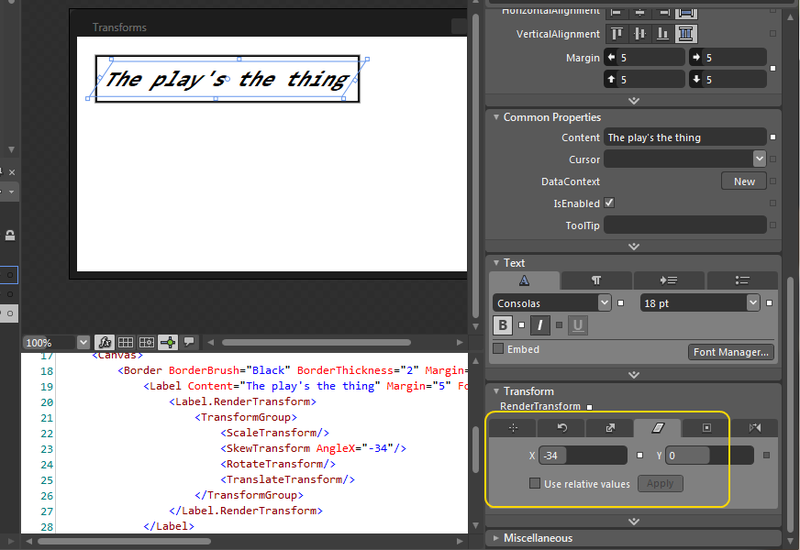 To configure a transform, just select the user interface element and then find the Transform area of the Properties panel. 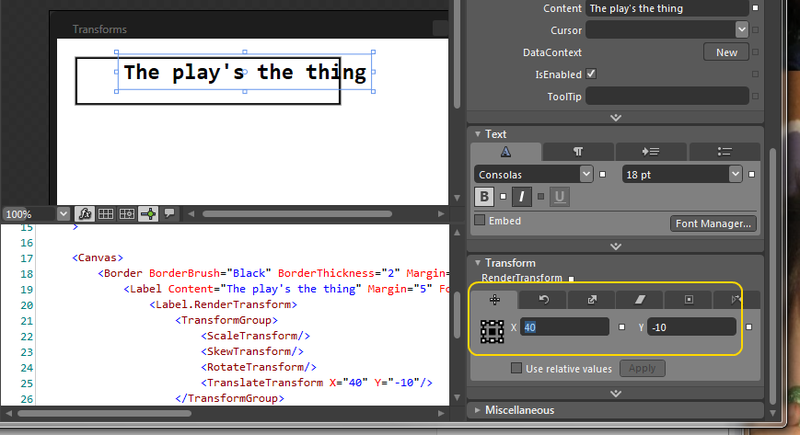 You’ll see that you can set properties for both layout and render transforms. 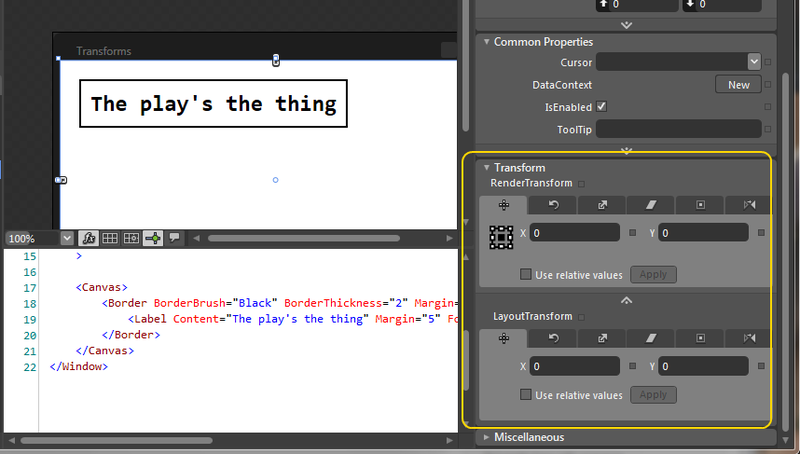 You can configure a number of different transforms. 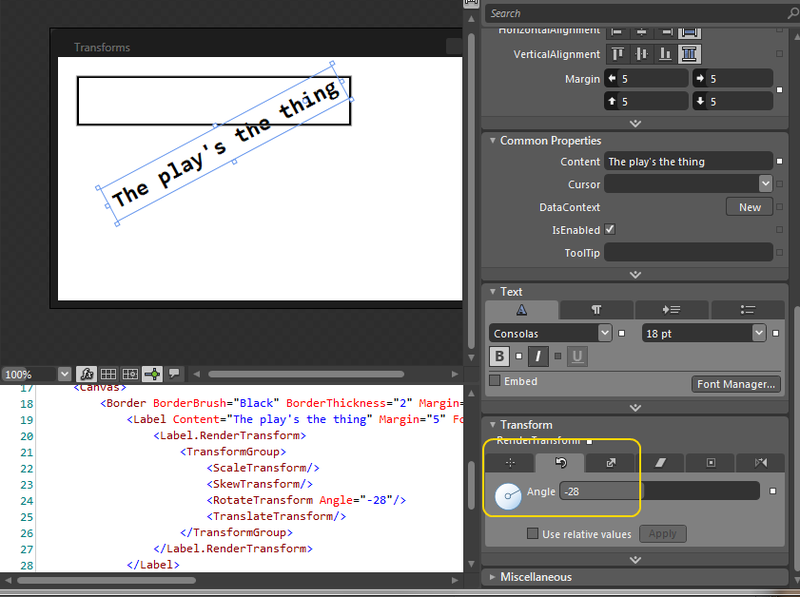 A Translation moves an element left/right or up/down. A rotation transform rotates the element. A scale transform scales the element. 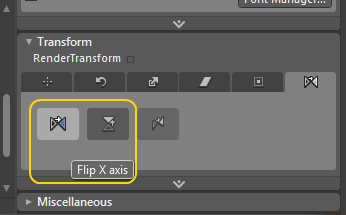 You can change the element’s X and Y dimensions independently. A skew transformation slants the element, relative to the X or Y dimension (or both). 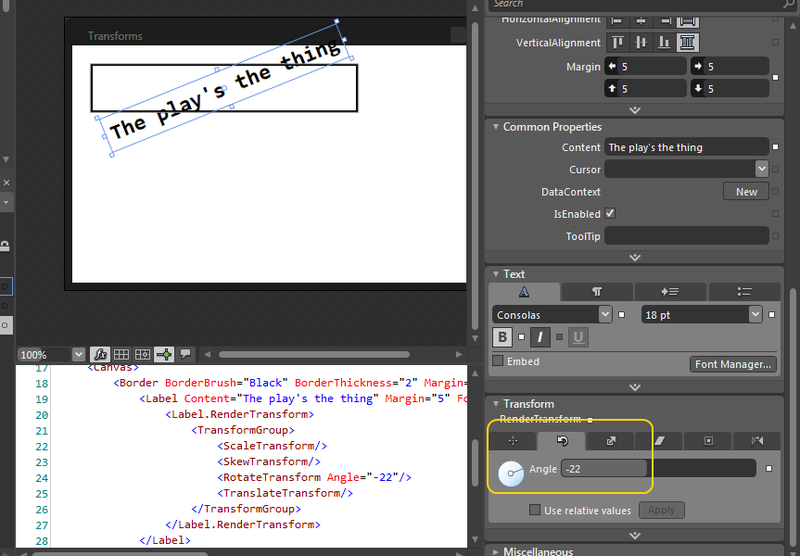 You can change the centerpoint of the element, with respect to other translations that you apply. 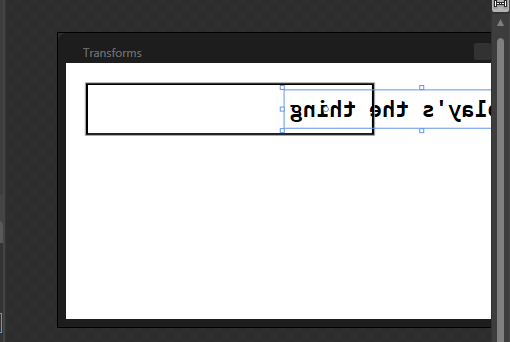 You can also flip the control horizontally or vertically.